We understand how stressful the truck-buying experience can be, but there’s no reason to fret. After all, if you live in the Nashville, Tennessee area, your choices are actually pretty obvious. The 2019 Chevy Colorado is the perfect choice for those seeking an affordable pickup truck. Likewise, Carl Black Nashville is the perfect choice for those looking for the optimal dealership. If you’re looking to stay stress-free without breaking the bank, see why this nameplate and this dealership are a match made in heaven. However, before we get to that, we should explain why the nameplate is so desirable in the first place. The Chevy Silverado tends to steal the headlines when it comes to the brand’s pickup offerings, but the 2019 Chevy Colorado is a perfectly logical choice. After all, the nameplate delivers everything a driver could possibly want from a new truck, assuring a one-of-a-kind driving experience. The pickup’s performance is practically unmatched, and the engines also manage to deliver a respectable fuel efficiency. The technological options promise an enjoyable driving experience, while the safety inclusions promise that occupants will remain safe at all times. Are you looking for power? Then you won’t be disappointed with the three engine options that are available in the 2019 Chevy Colorado. Each of these offerings manages to pump out a whole lot of power, although they may surprise you with their efficiency specs. The 2.5-liter four-cylinder engine is the smallest of the bunch, but the system still manages to deliver a whole lot of muscle. Drivers can ultimately anticipate 200 horsepower and 191 pound-feet of torque, all leading to an incredible 3,500-pound towing capacity (a mark that trumps the main competition). Perhaps the most surprising aspect is the admirable fuel efficiency as drivers can anticipate up to a 26-mile-per-gallon highway fuel efficiency. This number isn’t only competitive when it comes to other pickups, but it even manages to rival basic sedans. The next step up is the 3.6-liter DOHC V6 engine, which delivers 275 pound-feet of torque and a best-in-class 308 horsepower. These numbers play a big role in the pickup delivering an impressive 7,000-pound towing capacity. Just because the vehicle delivers power, it doesn’t mean drivers can’t save a few bucks at the gas station, as the unit also delivers a 25-mile-per-gallon highway fuel efficiency. Finally, the GM-exclusive Duramax 2.8-liter turbo-diesel engine manages to deliver a unique blend of power and efficiency. The system can ultimately crank out 181 horsepower and a best-in-class 369 pound-feet of torque, leading to a best-in-class 7,700-pound towing capacity. The system even promises a best-in-class 30-mile-per-gallon highway fuel efficiency. With three engine options at your disposal, you may struggle to make a choice. Instead of getting stressed, remember that you can’t go wrong with any of these available offerings. 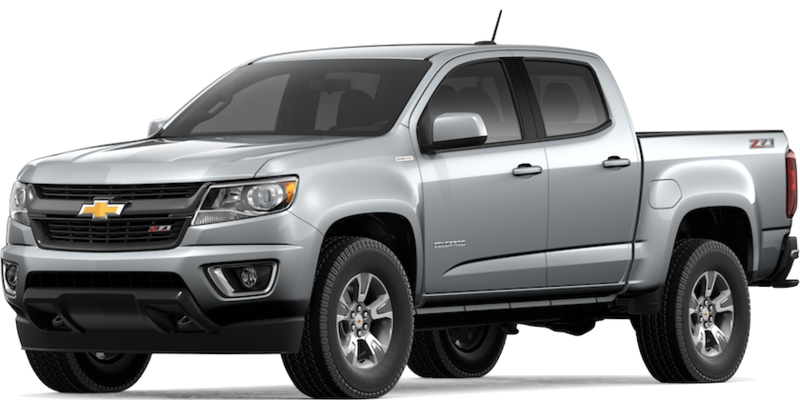 The 2019 Chevy Colorado has been built to keep drivers safe, and this is emphasized by the array of preventative and protective safety functions. The pickup will keep occupants safe if they find themselves in an accident, although this is unlikely to happen thanks to those preventative functions. Specifically, amenities like the Forward Collision Alert will notify the driver when a crash is imminent, allowing them to avoid the impending danger. The Lane Departure Warning is also helpful, alerting the driver when they’re dangerously swaying from lane to lane. The Rear Vision Camera will be useful when you’re traveling in a parking lot, while the Rear Park Assist will make it more than easy to reverse into any tight parking space. If you do find yourself in an accident, you can trust the Colorado to keep you and your passengers safe. The high-strength steel frame and the “reinforced safety cage” will keep an accident’s dangerous energy away from the occupants, thus reducing the chance of an injury. Of course, the extensive airbag system (which includes head-curtain airbags) will provide occupants with the perfect amount of cushion. Of course, you’re going to be spending the majority of your time inside the pickup truck, so you’ll surely want the vehicle to be equipped with some semblance of technology. Fortunately, the 2019 Chevy Colorado more than delivers, providing drivers with an enjoyable and memorable driving experience. It starts with the brand’s infotainment system, which provides quick and easy access to an assortment of helpful applications. If drivers prefer, they can easily connect their smartphone thanks to the Apple CarPlay and Android Auto compatibility. These technologies allow drivers to seamlessly connect their smartphone to the system, making it easy for them to make phone calls and send text messages. As a cherry on top, engineers added USB ports and an available wireless charging dock, meaning drivers can always keep their preferred gadget fully juiced. If you’re required to complete work while you’re traveling in your truck, you should consider opting for the built-in 4G LTE Wi-Fi system. With the ability to connect up to seven devices, you and your passengers will always have connection to a strong wireless internet connection. Pickup trucks aren’t necessarily known for their technology, but drivers will appreciate all of the features added to the 2019 Chevy Colorado. Chevy has never made it easier to take advantage of all of your pickup truck’s advantages. We obviously understand the incentives that accompany a pickup’s truck bed, but you’re probably unaware of how the 2019 Chevy Colorado has managed to take those amenities to a whole new level. For starters, the truck bed is accompanied by a CornerStep rear bumper, making it more than easy to enter and exit your bed. Add in the included corner hand grips, and you’ll never struggle to load your cargo. Meanwhile, the four fixed Cargo Tie-Downs (this number can be boosted up to 13) means you’ll never have to worry about your cargo suddenly flying out of the bed. Finally, the fully boxed frame provides an excellent basis to secure your cargo. The rest of the exterior amenities should influence the entire driving experience. For instance, the four-wheel disc brakes with Duralife brake rotors will provide owners with maximum stoppage power. Meanwhile, the sound-deadening features (including Inlaid triple-sealed doors, a thick windshield and side glass, and liquid-applied sound deadener) means you’ll never be distracted by the roaring wind or engine as you’re traveling in your pickup. It should be pretty clear that the 2019 Chevy Colorado is the perfect choice for those seeking a new pickup. Similarly, Carl Black Nashville is the perfect place to purchase that truck. This dealership provides everything you could possibly want from a car-seller, including a vast inventory and competitive prices. Carl Black Nashville also provides drivers with a number of useful services, while our flexible hours means you’ll never struggle to find time to visit the business. Specifically, our finance department will help customers find a payment plan that makes sense for both sides. Even if you’re struggling with poor or nonexistent credit, we are more than willing to finance your upcoming purchase. Now, Carl Black Nashville shouldn’t be confused with a buy here-pay here dealership; rather, we’re a traditional car seller that simply wants to provide all of their customers with the ability to make a purchase. Therefore, even if you’re operating with a relatively limited budget, you can rest easy knowing that a purchase is possible when you visit this dealership. Meanwhile, if you run into any mechanical issues with your recent purchase, you won’t have to turn to an untrustworthy mechanic. Often times, it’s uncertain if these private mechanics are entirely qualified to fix your ride, and there’s a good chance that they’re going to charge you an exuberant amount for their services. Instead, you can rely on the Carl Black Nashville’s service department, which will fix up your ride in no time. The flexible hours makes it easy to visit us before or after work, and the team can get your 2019 Chevy Colorado back to working condition in no time. There’s even a parts department, and the employees will be more than willing to order whatever car part you’re looking for. Finally, Carl Black Nashville’s flexible hours means you’ll never have to miss work in order to visit their facility. Rather, we are open seven days a week, including until 8:00pm on Monday through Friday. Therefore, you’ll never have to flip around your calendar in order to make a purchase. The service and parts departments are just as flexible, as they’re open six days a week (closed on Sunday) starting at 7am. 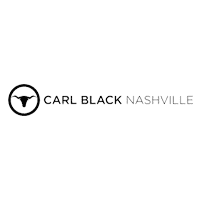 If you’re looking for the ultimate buying experience, you can’t do better than Carl Black Nashville. So what are you waiting for? Head out to the dealership today, and before long you’ll be cruising off the lot in your brand-new 2019 Chevy Colorado.